Using an effective multivitamin to get the most out of your keto diet is a smart move. Experts agree that a multivitamin offers security to ensure that you're getting all of the nutrients needed throughout the day. While the body can store many nutrients such as vitamin D, some nutrients must be obtained on a regular basis to get the most benefits. Since the supplement industry is rife with scams, it's a good idea to supplement with science-backed ingredients that are shown to be clinically effective. Multivitamins have a critical place in the keto diet. While there is some evidence to suggest that a multivitamin might not be all it's cracked up to be, the majority of research shows a positive benefit from including multivitamins in your diet. In the Nutrition Source by Harvard University, it's noted that multivitamins can help fill in the gaps in nutrition and may have additional health benefits. They recommend that you stick to supplements that have close to the recommended daily dose and avoid exceeding these amounts. When choosing a multivitamin, it's important to take a sensible approach. The fact is that your keto diet will provide you with most of the nutrients you need to remain healthy. Any substances that you are not getting through food can typically be manufactured by the body when needed. Still, there are some compounds that you should be sure to include. Most multivitamins don't contain enough vitamin D. The body can store extra vitamin D and it's very hard if not virtually impossible to overdose. Aim to get around 2,000 IU per day. While you could take all of your vitamin D for the week once per week, it's better to spread out daily through a good multivitamin. While high doses of vitamin E may be useful for preventing heart disease, you can get too much of a good thing. Aim for a reasonable amount that doesn't exceed the daily limit. You should avoid multivitamins that provide mega doses. These may be helpful in isolated situations to treat specific conditions, but for the most part, a mega-vitamin is not suitable for daily use. Multivitamins decrease the chance for a nutrient deficiency. They are ideal for people who can't meet their recommended intake based on diet alone. On a keto diet, it's possible to get all of the vitamins and minerals you need. However, you also must be open to the idea of eating raw brain and liver to ensure you get a full profile of nutrients. Multivitamins aren't designed to prevent disease or reduce the risk of getting sick. They are intended only to ensure you aren't lacking in key nutrients. Calcium and vitamin D supplementation has been shown to increase bone mineral density and decrease fracture rates, which is essential for postmenopausal women. Folic acid and iron are essential for pregnant women. People over the age of 50 need additional B12 supplementation to ensure adequate energy levels. The National Institutes of Health recommend that people who are on diets or may be restricting calories take a multivitamin to ensure the right nutrients are delivered to the body. There is plenty of negative information available that states research shows that multivitamins can cause all sorts of harm and even death. But, even Harvard University states that these claims are unfounded and the studies that report these effects are "flawed." There is a tendency in the medical community to call something harmful if it affects less a small portion of the population. This flawed logic makes it less likely that an individual will engage in healthy lifestyle changes because of inaccurate reporting or a limited understanding of how research is completed. Nuts are fine for the majority of people, but it can kill those who have allergies. Scientists publish reports on their findings, but that doesn't mean that nuts are harmful to everyone. The same is true of multivitamins. Most negative reports deal with issues that simply don't apply to normal and healthy individuals. Some of the worst evidence comes from non-controlled studies in afflicted individuals. Researchers will look at a cohort of people and essentially make assumptions based on surveys. In other cases, massive amounts of a supplement will be given to rats that result in their death. Poor reporting and improperly constructed studies are to blame for most of the scare involved with supplements. Supplements are effective, and they serve as an inexpensive insurance policy. A report by John Hopkins Medical Center is flawed. It's stated that there is no benefit to multivitamins, but when you read further, it discusses incidents that multivitamins aren't reasonably expected to be beneficial. The article cites research with heart attack survivors who were provided with multivitamins with no reduction in future heart attacks. Without lifestyle changes, it's nonsense to expect a multivitamin would help people avoid a heart attack. John Hopkins also cite there is no evidence a multivitamin doesn't reduce the risk for mental declines, but again, a multivitamin is not intended to prevent the normal effects of aging. The medical center also found that multivitamins don't reduce the risk of heart disease or cancer. Without other healthy lifestyle changes, there is no reason to expect this benefit. The report is not all negative, but one particular supplement they do recommend is folic acid for women of childbearing age. However, this recommendation is unlike the other broad-based diseases and illnesses. With this particular issue, we know that folic acid prevents neural tube defects in babies when women have enough in their system before and during pregnancy. Garden of Life produces exceptional supplements that you can really feel working. These supplements are designed to provide you with the nutrients you need to live an active and healthy life. They are exceptionally well-suited to the keto diet because you can get some benefits that you'll be missing from the vegetable and fruit mix that is included. Additionally, this supplement contains close to the daily value. One problem with supplements that well exceed the daily value is that those sources will typically not come from natural sources. The men's and women's version differ in key areas. The men's supplement offers better prostate support and the women's is designed with more folate. Organic ingredients are used in the product. Option for both men and women. Ingredients come from whole food sources. The serving size is one tablet so it's hard to adjust the dosage. New Chapter seems practically comparable to Garden of Life. The only main difference is that Garden of Life tends to include a more practical selection of ingredients. 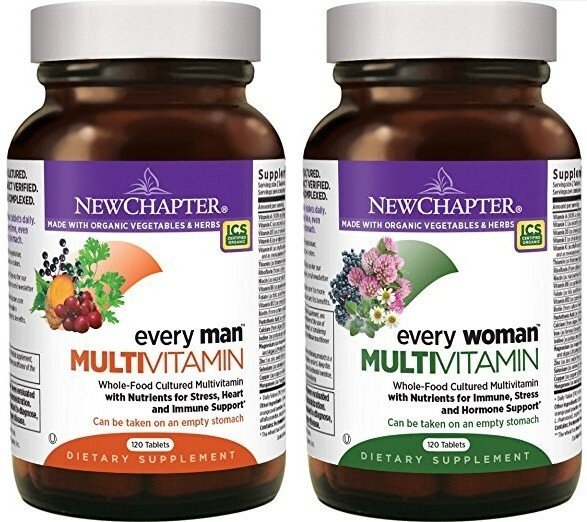 The New Chapter formula includes probiotics, and like the Garden of Life option, there is a men's and women's version of the supplement. These supplements are easily absorbed by the body thanks to the food-based design and the addition of probiotics. There is also a higher level of vitamin D and B vitamins that are not always found in other brands. This makes New Chapter a good option to ensure you don't have any deficiencies. Serving size is two capsules so you can adjust the amount based on your needs. There is a version that is specific to men's needs and women's needs. Includes probiotics to ensure exceptional health and delivery of nutrients. The men's and women's version options make it harder to split between couples and families. 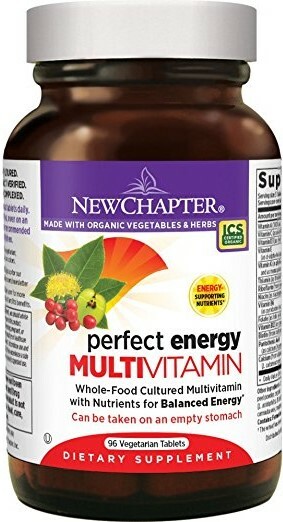 Another New Chapter product, this supplement is certified to be organic. It's specifically designed to go beyond your typical multivitamin and provide additional support for endurance and memory. This supplement can be taken on an empty stomach, and it's one of those options that you'll enjoy taking because you can feel when it kicks in. The supplement doesn't give you jittery energy, but you'll feel more awake and capable when taking this supplement. It's an excellent option for anyone who feels worn down and lethargic. 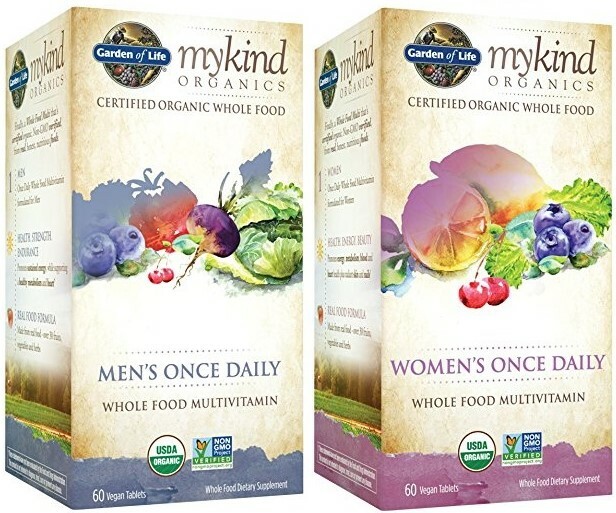 Certified organic and non-GMO ingredients. The product uses vegetarian and gluten-free ingredients. Serving size is three tablets, but you can effectively get away with only taking two. There are some drawbacks to this option, but it does come in a liquid gel form and it seems to be well-absorbed by the body. The people at Now Foods know how to make a supplement. This supplement is designed to provide you with all the vitamins and minerals you need without making you feel jittery or unfocused. This is one supplement that isn't a bad idea to keep refrigerated once you open the package. However, it can't be kept too cold or the capsules may begin to stick. The main drawback is that the supplement uses soy ingredients and it is just your basic, but effective, multivitamin. The liquid form is designed to promote better absorption. It includes the most important vitamins and minerals for a healthy diet. NOW Foods is a trusted brand and their supplements are often used in medical studies. There is an aftertaste if you don't take these with meals. The pills are very large and may not work for you if you have trouble swallowing. 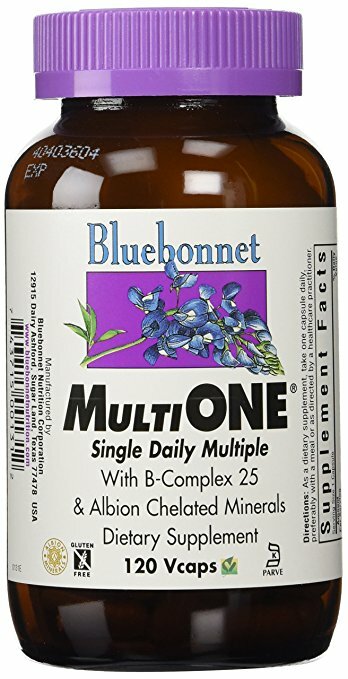 Bluebonnet makes some really great supplements that use a similar approach to delivery that Garden of Life and New Chapter use. The vitamins are food-based to promote better absorption. This product also contains everything you need, but the dose is a bit high on some of the vitamins and minerals. If you know you need higher than normal doses, then this option might be a good one for you. It uses all the right ingredients to ensure optimal absorption. It's a great affordable option for when you want to make certain you meet your nutrition goals. Contains the best forms of many important nutrients. The RDAs are exceeded, but only with elements where it makes sense to do so. Contains inositol and lutein, which are often missing from many supplements. Doesn't mention if the product is GMO-free. Multivitamins are not miracle drugs, but the body absolutely knows how to use the minerals and vitamins for very specific purposes. If you give your body B vitamins, it will use it for energy. If you give your body magnesium, it will resolve a magnesium deficiency and improve your circulation. Multivitamins work, they just aren't the magic pill that critics hope them to be.